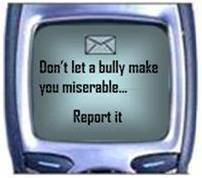 A new study in the UK found that half of 14yr-olds are bullied, and most of these are tormented via their computer or mobile phone. The percentages fall as kids get older to 40% among 15yr-olds and 29% among 16 yr-olds. But these are still unacceptably high levels. 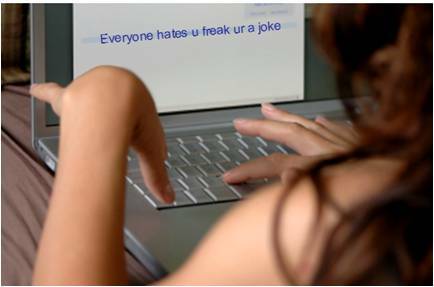 Cyberbullying has emerged as the most common form for bullying in the UK, along with name-calling, according to the study of 10,000 teenagers. In response to the study results, UK Schools Secretary Ed Balls highlighted the positive aspects of the internet, then cautioned, “we also know that mobile phones or computer screens can be used to taunt and bully young people, which can have devastating consequences”. Balls urged parents to report incidents to their child’s school. You can also check out the brochure Protecting Kids From Cyberbullying, a joint project of LOOKBOTHWAYS and Microsoft. This entry was posted on Monday, November 16th, 2009 at 12:25 pm and is filed under In The News. You can follow any responses to this entry through the RSS 2.0 feed. Both comments and pings are currently closed.